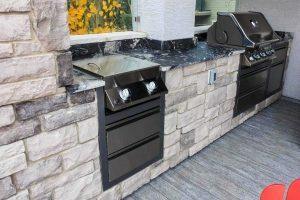 Unique outdoor kitchen with high quality granite counter-tops - Curb Design Inc. 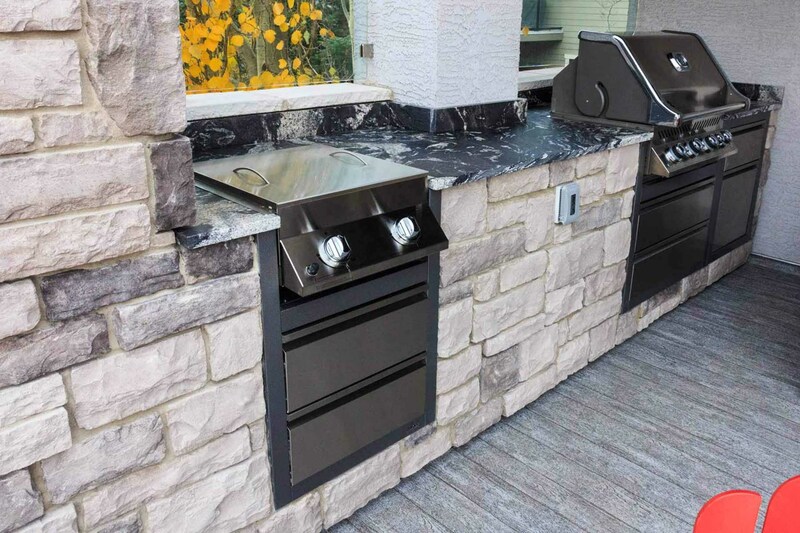 Unique outdoor kitchen with high quality granite counter-tops. Beautiful glass railing and unique wooden floors or deck.